In Herculego's Book 1, there were 7 crime scenes from 7 different cases originally. These ranged from early stories to later ones. 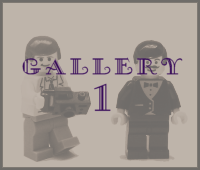 To see the 7 original scenes, click on the "Gallery 1" image below. Congrats to those who previously participated and successfully answered correctly. By the way, Case 6 has never been identified correctly! If you know the answer, write it below the scenes (using your Facebook account to leave an answer). Chief Inspector Japp: "Moosior Poirot's question might be challenging, but I have a clue for you: I was the investigating officer in both stories with Poirot." Captain Hastings: "Yes, Chief Inspector--however, I was not present. I was in the Argentine. And yet...the police provided me with the photo of the crime scene when I had returned to	England." Hastings: "Upon reflection, I replaced this missing character in a different televised account of a murder. In the written account he appeared with Poirot, not I." George: "Were I his valet, I certainly would tire easily. He is quite social and loves hosting parties." Mrs. Oliver: "You'd think that I would've lost total interest in my Finn detective Sven Hjerson, but it's not that. It's maddening that he's tied to me for life, though." Click here to move on to Book 2! LEGO, the Minifigure, and the Brick and Knob configurations are trademarks of the LEGO Group.